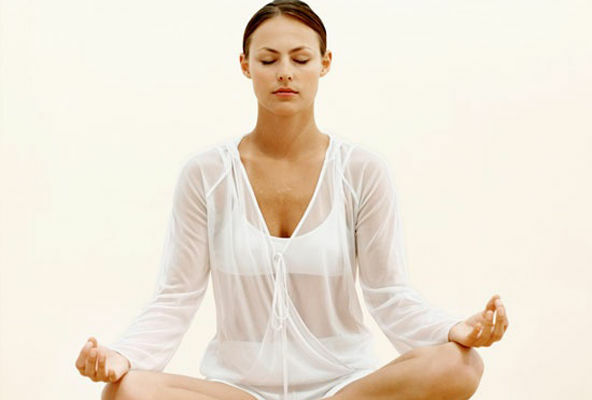 Meditation has been practiced for many centuries, mainly associated with religious and spiritual activities. It is only in the past few years though, that there has been a lot of published research individual scientists, journals and academic institutions, proving scientifically the benefits of meditation. 1. Reduction of Stress and Anxiety: MRI scans of people’s brains before and after meditating showed a reduction of gray matter in the amygdala, a region connected to anxiety and stress (research findings published in the Jan. 30 issue of Psychiatry Research: Neuroimaging). Neuroscientists have also found that meditators shift their brain activity to different areas of the cortex–brain waves in the stress-prone right frontal cortex move to the calmer left frontal cortex. In other words, they were calmer and happier than before (research by Massachusetts Medical School published in Psychology Today). 2. Permanent relief from Depression without medication: Meditation was found by studies to be the best non-drug treatment to beat clinical depression. It also increases emotional stability, regulates emotions, improves mood and gives a feeling of relaxation, calmness and balance.. Research carried out by the British investigators from the Mood Disorders Center at the Institute of Psychiatry at King’s College in London and published in 2008 the Journal of Consulting and Clinical Psychology, found that the meditation was as good or better as a treatment than anti-depressants in relieving depression and preventing a relapse of serious depression in the long term. 3. Improves health and helps heal faster: Numerous studies the past few years have proven the positive impact of meditation on health as it enhances your natural immune system, accelerates healing and reduces pain. 4. Reduces the risk of heart attack as it lowers cholesterol and blood pressure and improves cardiovascular function. 5. It gives your mind a powerful boost: Meditation has been proven to improve memory, creativity, decision making and attention span. It helps you be in control of your own thoughts, be more focused and find solutions more easily. 6. It helps you relax and get deep restful sleep. 8. Helps heal past psychological trauma, as it gives you sentimental stability and helps recover faster from any difficult psychological conditions. 9. Boosts your self-confidence and satisfaction with life: Meditation increases positive feelings of self-confidence, satisfaction, clarity and vitality, thereby improving your overall life experience and your results. 10. Strengthens your Spirituality: Meditation increases your spiritual connection to God or the universal intelligence and your infinite potential. By increasing your spiritual connection, it removes any limitations and barriers and brings you to a level where everything becomes possible. Do you still have reasons not to meditate? For an easy way to start meditating today, see below this post for the top recommended meditation audios that I use to get the best results! Very nicely put together. Meditation is something everyone can and should do; even just for 5-10 minutes at a time. There is so much research right now showing medical and health benefits from meditation. In 1980, California added breathing techniques to the scope of practice of a Licensed Acupuncturist. Our bodies are not at rest or healing when trapped in “fight or flight” sympathetic response from battling through the day. Meditation helps facilitate proper rest to balance out our physical and mental activities. It is a key component to self-care. It is called a practice because you have to practice to get good at it. Thank you for your comment Alma, I agree, since I started practicing meditation more systematically since around 5 years ago, my life has improved to a great extend on many levels, I am a different person. I not only use it to deal with day to day life easier and be more balanced physically and mentally, but also to access the subconscious and facilitate things in my life to happen more easily and create more positive experiences. The more you practice, the deeper you go and the better results you get!